As a child, I suffered from eczema. My late grandma and my mom would tell me stories about how they bathed me in all types of liquid and apply tons and tons of cream due to the skin disease. Thank goodness my skin got better as I grew older. My first skincare basic set was from Dermalogica. I was around 16 years old, my mom was particularly concern of my skin for I had a fair but rather sensitive skin. She knew my skin needed better care, thus, instead of teaching me about drugstore products, she showed me how to appreciate good skin centres. I may not be regularly using their products (because of my job nature) but I trust AsterSpring services and I've paid to get my regular facial done at their signature outlet. Thus, I'm not just saying this for this blog. This year, AsterSpring (perviously known as Leonard Drake) celebrates its 30th anniversary as an icon of beauty and well-being. Designed to be a sanctuary of health, it made its debut at Imbi Plaza, KL in 1984 to cater a growing market of professional women. Today, 30 years later, AsterSpring enjoys a presence in more than 70 centres across four countries including Malaysia, Singapore, Hong Kong and Thailand. Dermalogica, the number one professional skincare brand worldwide is used at AsterSpring to improve skin's well-being. A personalised consultation by trained therapists is employed to determine the skin type and concern of every new customer. Treatments are then specially customised to treat and meet the needs of each individual. 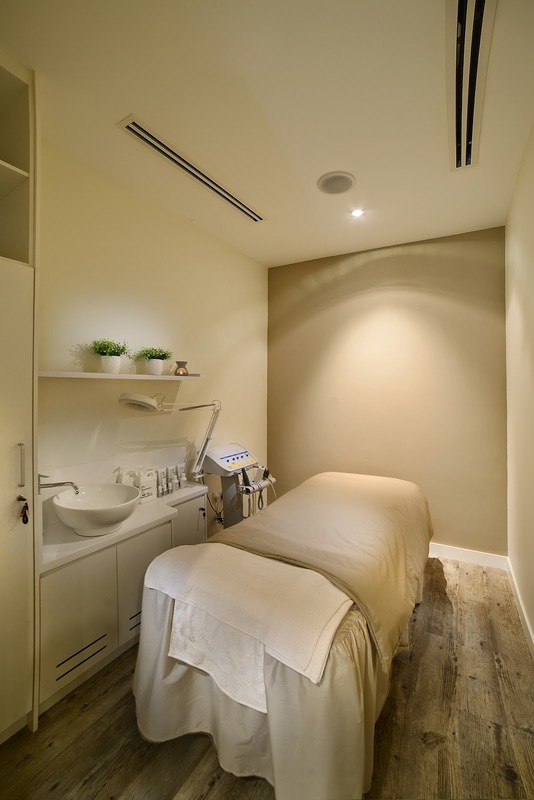 With 30 years experience, state-of-the-art equipment and breakthrough technology, AsterSpring has created 246 specialised treatment options to deliver optimum skin results to any and every skin type and concern. 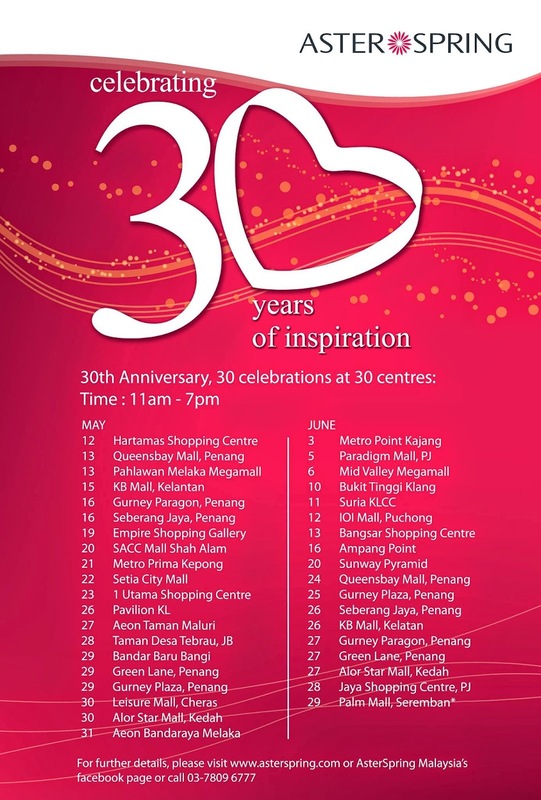 Join them while they celebrate their 30th Anniversary at 30 centres! 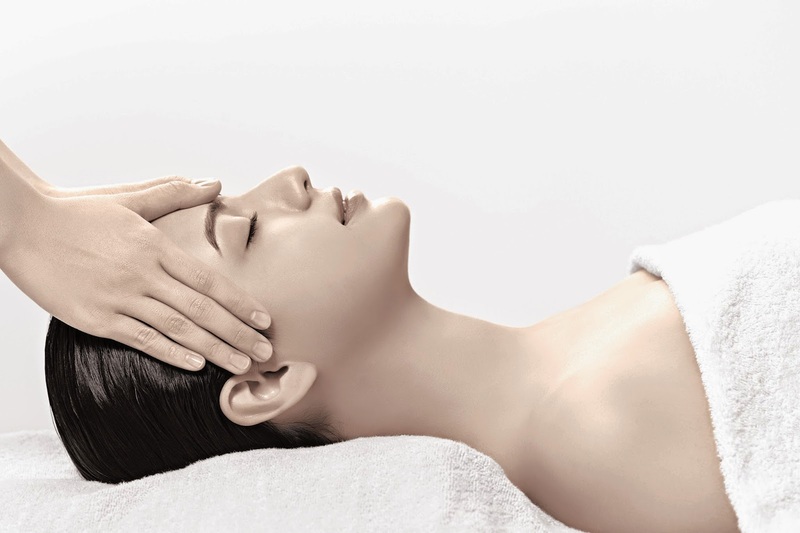 Additional special product and treatment promotions, lucky draws worth RM30, 000 awaits you!